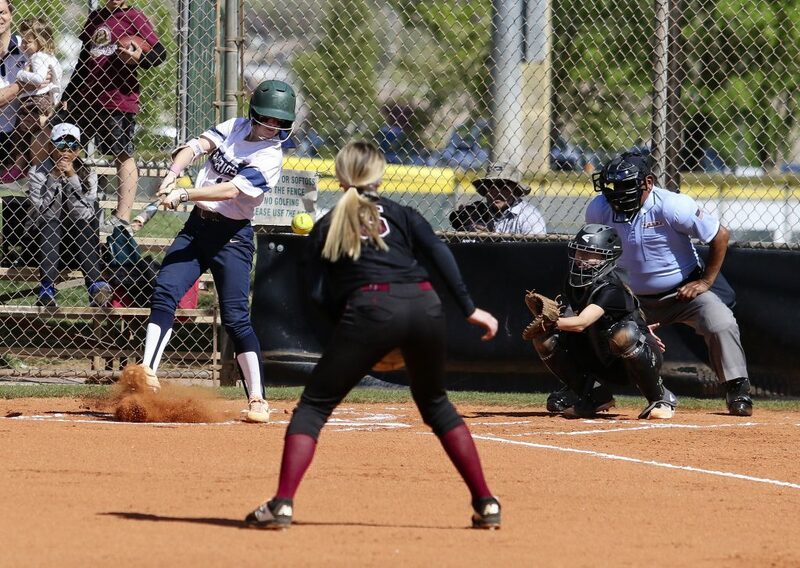 CEDAR CITY — Canyon View’s softball team squeezed past Hurricane Friday afternoon with a 2-0 victory. 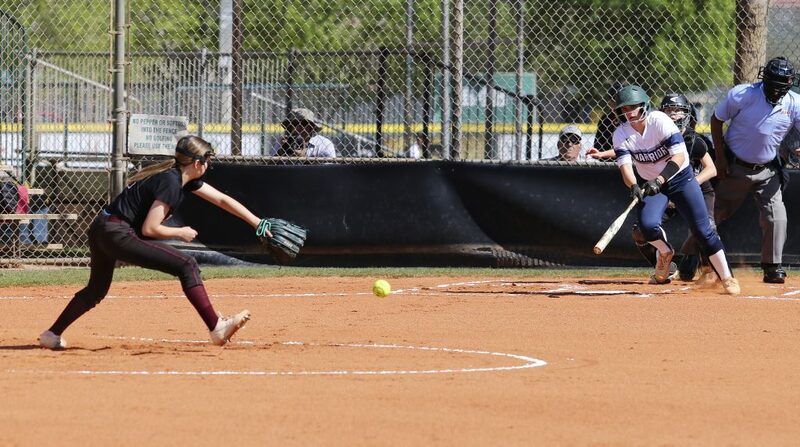 Canyon View senior Jordan Nielson threw the complete game shutout from the circle, in which she struck out six batters and allowed five hits. The game had been scheduled to be played at Canyon View but was switched to Hurricane on Friday because of weather concerns. The Falcons were the designated home team, however. The game was a defensive battle, with great plays from both teams. 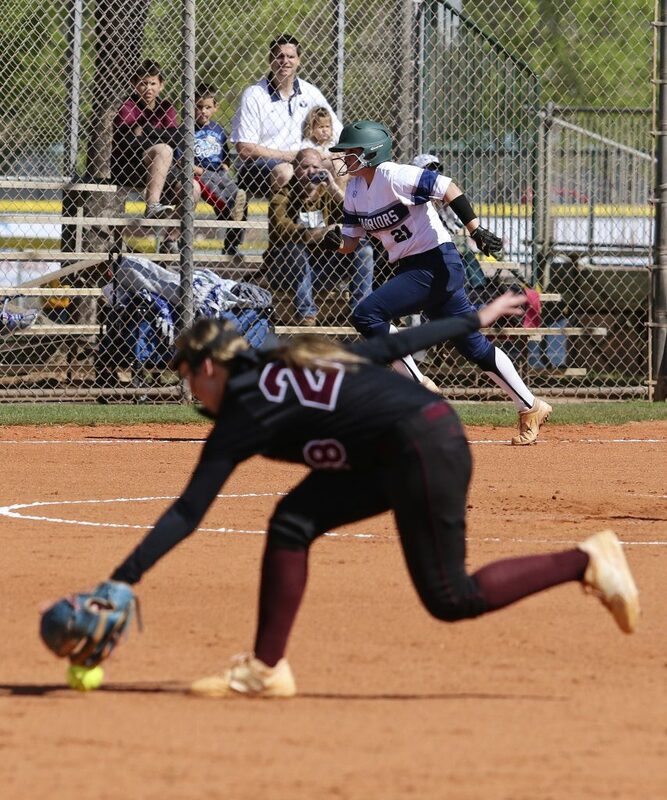 Canyon View put up their only two runs in the bottom of the second inning, with right fielder Camry Higgins connecting on her second pitch for a two-run home run. Chantell Pearson pitched well for the Tigers, striking out three and allowing two hits. But all it took for the Falcons was a hit from senior Taylee Braegger to get on base, followed by the home run from Higgins. In a game that was delayed and eventually stopped due to rain and lightning, the Cedar Lady Reds prevailed 4-0 at Dixie. The game was originally scheduled to be played at Cedar, but due to weather issues the two teams met on Dixie’s home field for the second time this season. 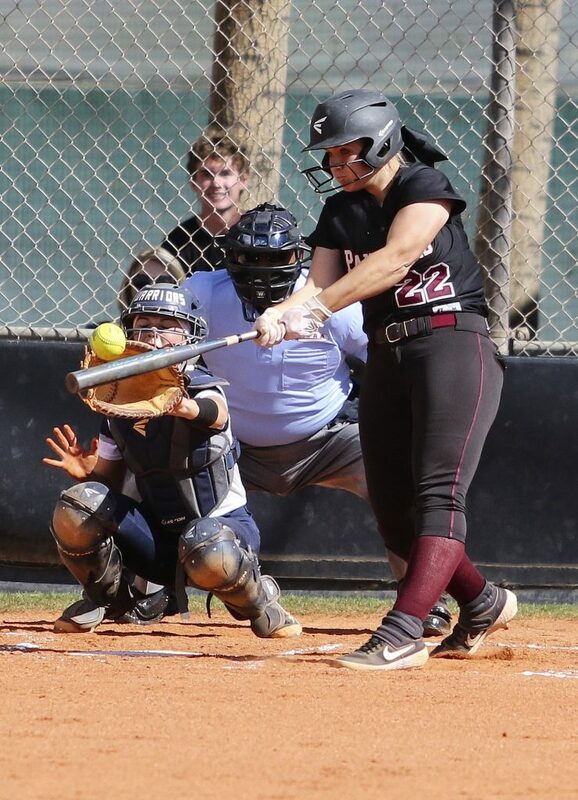 Becca Boyer hit a three-run homer for Cedar, and Japrix Weaver later drove in the team’s fourth and final run on a sacrifice fly that scored teammate Kaila Gleave. 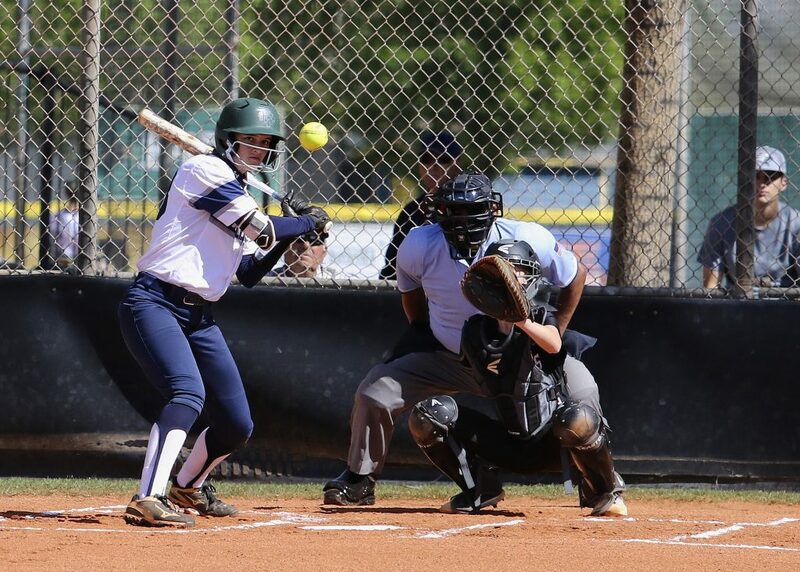 Umpires called the game shortly after that due to lightning; however, coaches said the game, which lasted five and a half innings, is considered complete and won’t be resumed. 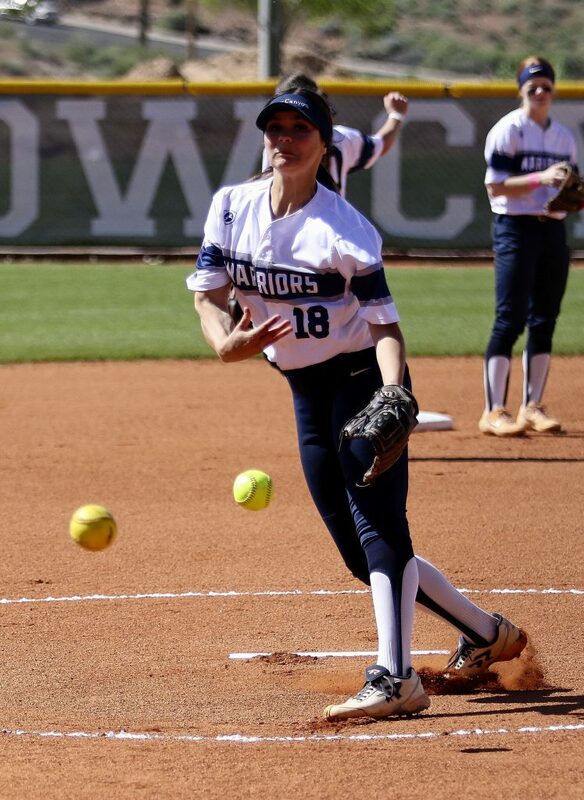 At Snow Canyon, the Lady Warriors shut out the visiting Pine View Panthers 15-0 Friday. 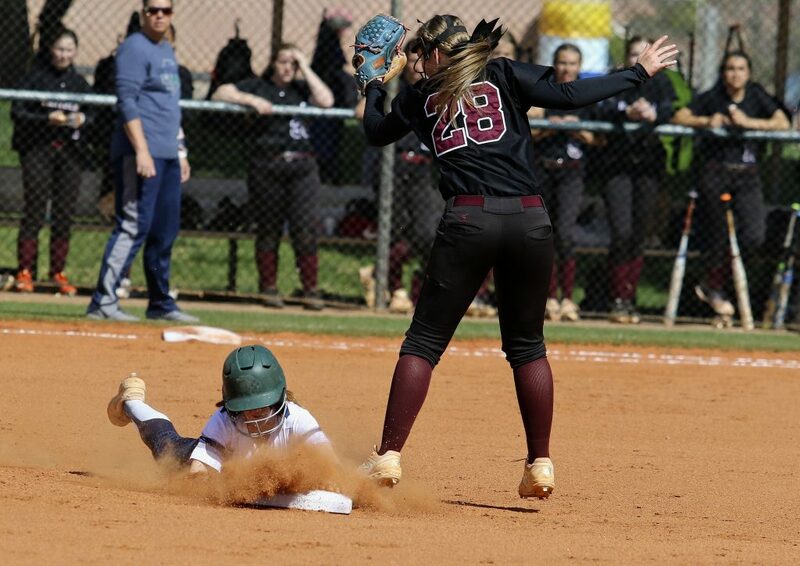 Snow Canyon scored six runs in the first inning and added six more during a similar rally in the third. The Warriors had a total of 16 base hits during the game. 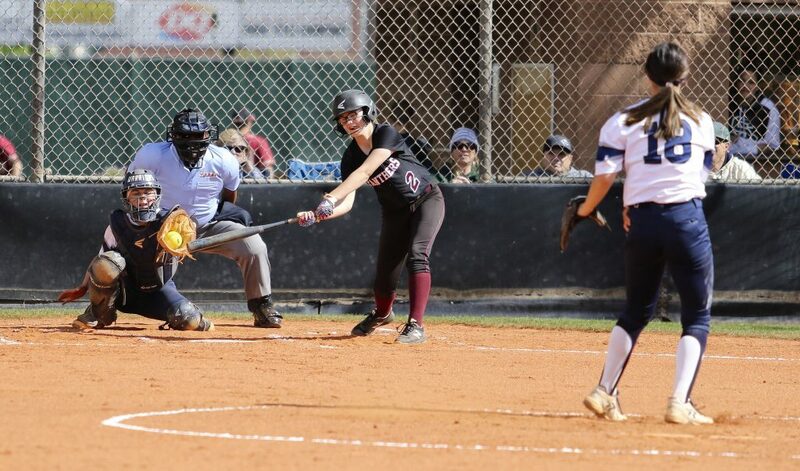 Kambrie Stuart went 3-for-4, including a home run and a triple, and drove in three runs. Payten Jensen threw all four innings to pick up the win, allowing just one hit while striking out 12 batters and walking one. 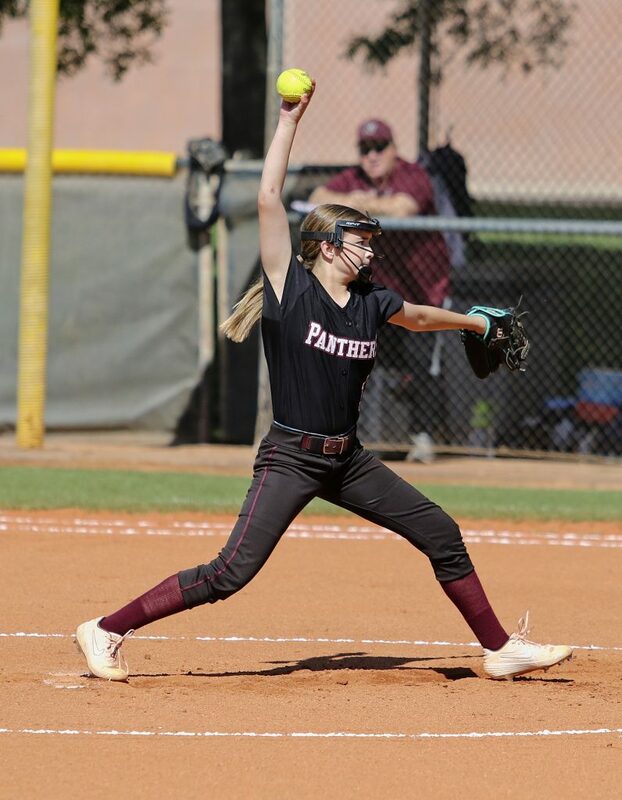 Starting pitcher Audrey Lester took the loss for Pine View. 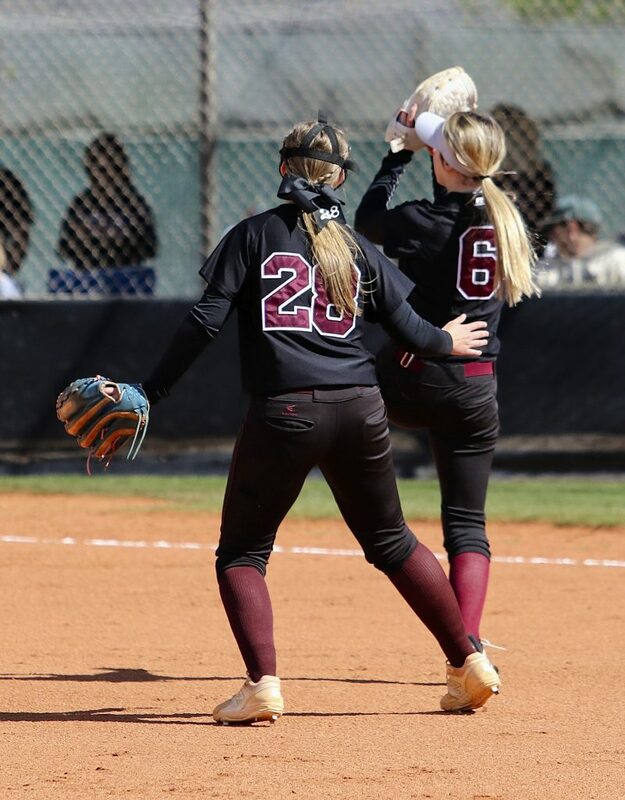 Next Tuesday’s Region 9 softball schedule is as follows: Cedar plays at Pine View at Cedar at 3:30 p.m., Desert Hills plays at Canyon View at 4 p.m. and Dixie plays at Hurricane at 4 p.m.